What a good Friday this will be. It’s our annual company picnic today. Our teams come from all over southern California—from 11 satellite offices—for a barbecue just for them. Today is all about the guys in the field. Our regional branch managers and account managers cook up carne and pollo asada for the more than 200 employees. This is a few-hour task over hot charcoal grills. It’s a great time for me to see all of us gathered together in one place. I take the time to shake everyone’s hand and say “thanks.” We usually do this after the long, hot summer, but this year we wanted to do it early and talk about safety. Our new director of safety, Jonathan Matthews, will address the team on how important it is for them to protect their body parts on the job. Jonathan is an ex-Marine who fought for our country in Iraq. He knows how important safety is. We have a raffle with an insane amount of prizes, including a big-screen TV donated by our friend and attorney Joe Strazzeri. Other vendors donate a lot of prizes, too. Our president, Kathryn DeJong, will speak about operations and about our Wall of Fame, which is based on customers’ emails and letters of thanks about the good job our guys do in the field. Lots to be thankful for every day, but especially today. I’m thankful for the great team we have at New Way Landscape & Tree Services. Today is my day to see them all in one place and offer my gratitude to them. 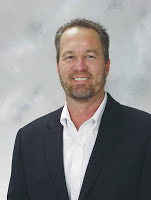 Randy Newhard, CEO of New Way Landscape & Tree Services in San Diego, will begin blogging again for Landscape Management. Look for his “Randy’s Way” insights weekly.